A design company specialising in Web Design, Graphic Design, Web Marketing and Printing. Based in Dartford, Kent - serving London & the South East. OUR SERVICES: - WEB DESIGN: Beautiful, Quality Websites designed & built to your exact requirements - GRAPHIC DESIGN: Cutting edge Graphic Design to set your brand apart from the competition - WEB MARKETING: Design and Distribution of Email Newsletters. Social Media profile creation - PRINTING: Quality Printing available in whatever quantity and material you require HOW CAN WE HELP YOU? We take the hassle out of the idea-to-design-to-market process simply because we can do as little or as much of it as you require - and we don't just do it, we LOVE doing it :) Great design and marketing instantly makes your business stand out from the competition. It establishes customer confidence and provides the building blocks for a strong customer relationship, which ultimately generates higher income and long term repeat sales for your business. Getting this right is one of the main factors between success and failure for any company. 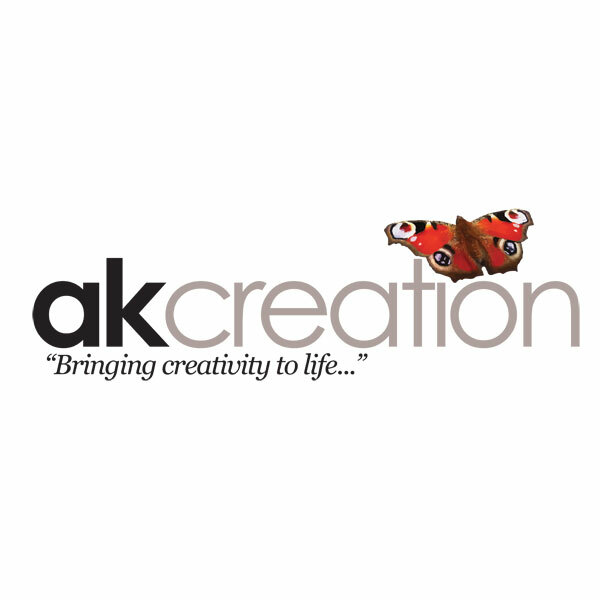 Here at akcreation we recognise how difficult it can be to find the time to focus on delivering effective design and marketing. We take time to understand and assess your needs, time pressures and budgetary constraints to deliver cost effective ideas that really help your business grow.